When you’re starting up your day, you need something to help get you going. Breakfast is the most important meal of the day. You need something that’s going to fuel you, while also pleasing your empty stomach. Why not have something that can please your taste buds as well? With our donuts and kolaches, you can start your day off the right way. Don’t feel like you have to choose between the two. In reality, donuts and kolaches work together to bring balance to your stomach. It’s sort of a yin and yang thing, with sweetness and savory. These bad boys are life, and they’re just what everyone needs. It’s no surprise that the two are different. The names themselves say it all. From the appearance to taste, these two are on opposite sides of the spectrum. But really, are they that different? Sweet or salty, you decide! We know that sometimes you have a sweet tooth. No matter what time of the day, you can get a donut at our 24-hour shop. Whether you’re looking for glazed, powdered, or even filled, we have all sorts of selections ready for you to eat. Maybe you want something a little more portioned and smaller. At Shipley Do-Nuts, we offer small and delicious donut holes to please any sweet tooth you have. Of course, this gives you the option to save room for more or even share with a friend. Maybe you’re not into eating something sweet. That’s okay, we have all kinds of kolaches that meet your needs. For example, we have different meats and even veterinarian options for you to try. Whether you enjoy sausage and jalapeno, ham and cheese, or jalapeno and cheese, we have a wide variety of options to satisfy your hunger. Just like the donuts, we have a smaller portion option in case you want something small. Our kolache poppers are also a great way to share with your friends. Life is too short for you not to enjoy yourself. Get the dress, buy the concert tickets, treat yourself with one of our delicious treats. 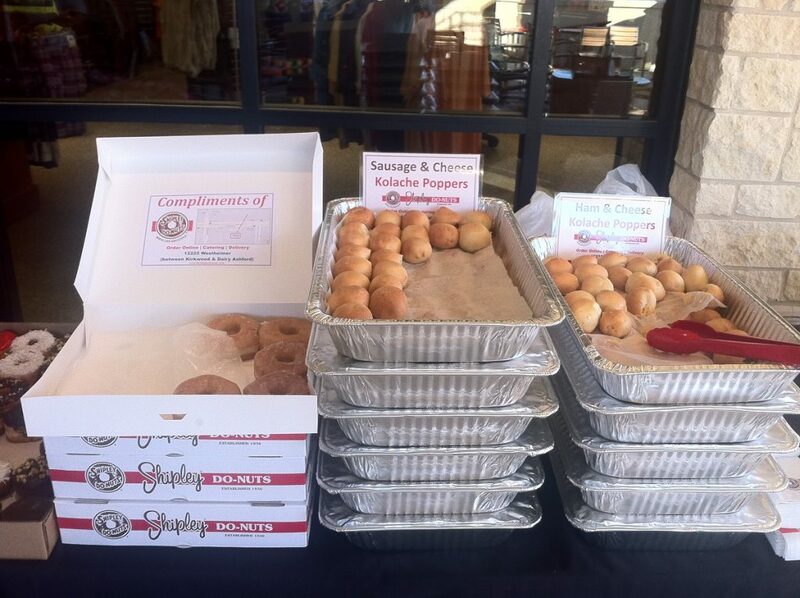 What’s holding you back from enjoying both our donuts and kolaches? Our options are too much for you to decide on just one. From the large selection of our donuts to our wide variety of kolaches, you can’t limit yourself to just one. There are too many flavors to taste! We recommend taking a look at our menu if you don’t have any favorites. Or, if you’re feeling a little adventurous, try something a little different to shake things up. Want to get a little crazier on a Friday night? Try one of our 5 ways how you can eat a donut. No, we’re not saying to stack them together. But if you want to experiment, feel free. What we’re saying is compliment the two different tastes together. “Sweet and savory” to add a balance of tastes in your mouth. Enjoy something to balance your mouth when the taste is too sweet or vice verse. Think of Ratatouille and how Remmy lets the flavors explode in his mouth. Don’t feel as if you have to limit yourself. enjoy both of our donuts and kolaches. Really, donuts and kolaches are life. Although they’re different, they provide the perfect taste to tame the hungry beast within. Whether you want to stop by one of our two locations or order online for home delivery, try our wide selection of donuts and kolaches. Treat yourself to our delicious treats at Shipley Do-Nuts. Call us now at (713) 589-3292 and or order online beforehand for a store pickup. Don’t limit yourself to just one choice. Enjoy both.